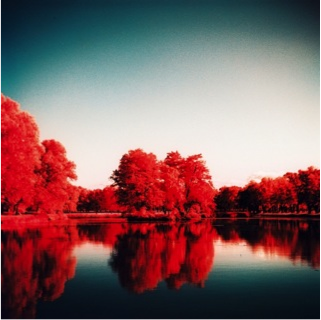 This is an ordinary photograph, shot by an amateur photographer using the orange filter on the Kodak Aerochrome. Unlike Richard Mosse’s photos, it depicts a scene that isn’t in Congo. It was with other pictures on the amateur’s blog, that tested out each filter in different settings. 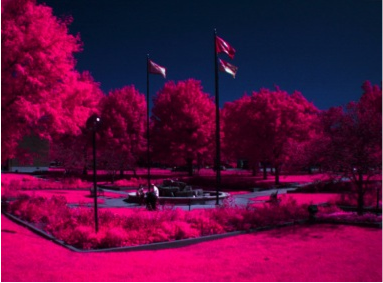 This is a photograph that uses color infrared technology to show a regular green landscape as a pink and red one. The photograph is a test of what the military uses color infrared film for actually, which is finding enemies trying to camouflage themselves in the landscape. Richard Mosse uses color infrared film in a different way, he rather catches a beautiful landscape in clear, sharp colors. This photograph depicts a scene of the war in Chicago, but it is taken with color infrared film. 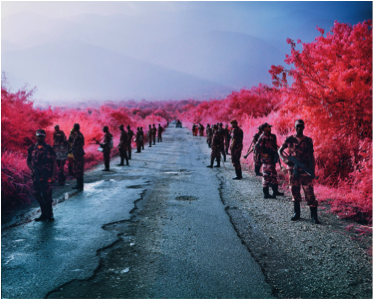 It shows the situation that any normal war would have, but the bright pink from the infrared film creates an unsettling balance with the dreary soldiers. This picture depicts the War in Eastern Congo and how infrared film was used by the military to find camouflaged soldiers. 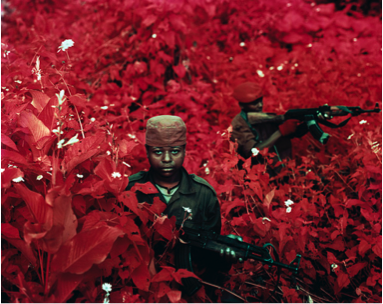 Richard Mosse took this picture, capturing the soldiers who probably didn’t know anything about the infrared technology. 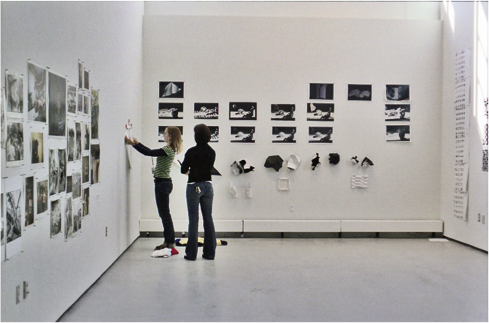 This photo depicts the Yale School of Art, possibly a photography room or exhibit. This is where Richard Mosse received his MFA and where he got his start with color infrared film technology. Kehinde Wiley: "Judith and Holofernes"
Art History Analysis: "Love Is The Drug"